Since 2011 Google Wallet has been available as a free digital wallet that securely stores your credit cards, debit cards, offers and more. Google is now offering a Google Wallet card that consumers can use to pay for items in stores and withdraw cash from ATMs just like a debit card. The Google Wallet app allows consumers to tap and pay to checkout if you have an NFC-enabled Android device. Google Wallet can also be used online to buy Google Play and other Google products and on select Android apps and sites, wherever you see the Buy with Google button. Bancorp Bank issues the Google Wallet Card and is accepted anywhere in the U.S. where MasterCard is accepted. There is no annual or monthly fee for the Google Wallet card and it can be ordered online or through the Google Wallet app for Android devices. Google doesn’t charge any fee to use an ATM but some ATM providers may charge a fee for withdrawals. Cardholders can spend a maximum of $5,000 every 24 hours. There is no ATM cash withdrawal limit. 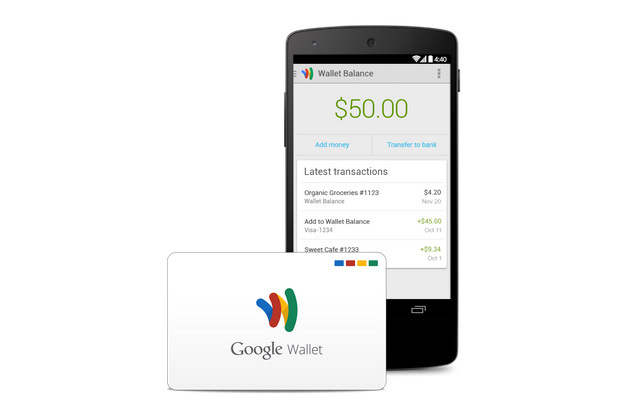 The Google Wallet card is available to consumers with a Google Wallet account. In the United States, you can use Google Wallet to shop in stores, send money, and to make online purchases on Google Play or other online merchants. Outside of the United States, you can use Google Wallet online to make purchases on Google Play in over 125 countries, and at online merchants in over 160 countries and territories.